The old style logo of book publisher, Three Rivers Press, depicts a small boat gently chugging its way upstream in a visual appeal to the times of yesteryear popularly associated with the prevalence of virtues like honor, respect and integrity. In appealing to this imagery and its associations, the mark, in effect, expresses those very qualities upon which the success of literary merchants is founded. In employing the distinctive, iconic grill of its flagship vehicle in combination with its strong, single syllable name, Jeep uses two of its most valuable identity assets to great effect in creating a logo which is both practical because of its simplicity and evocative because of its color and imagery. The logo of confectionary company, Wonka is a beautifully, carefully and elegantly constructed mark evoking the child-like wonder of its legendary cinematic namesake in order to tantalize not just the taste buds, but the imagination. Colombian based winery, Divino is represented by a compact, expressive logo which is quite ingenuis. Playing on its name, a faux "portmanteau" combing two Spanish words, "vino" meaning wine and "divino" meaning "divine", is an angelic wing sprouting from the word mark's leading letter which is often used to represent divinity. Complimenting this is the hand-crafted, rustic feel which plays on the idea that good wine improves with age. 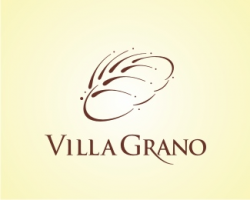 The logo of Brazilian bakery, Villa Grano, expresses the freshness and quality of its products with a crisply drawn, stylized visual metaphor incorporating a head of wheat and loaf of bread which is underscored with a refined, uppercase rendering of its name. The word mark's thin strokes mimic those of the icon which allow the elements to compliment, rather that compete with one another. Tapping into the vintage stunt flying theme with a double entendre referring both to an aerial stuntman and a chicken wing enthusiast, the logo of California based restaurant and bar, Wingnuts, is clever, unique, balanced and beautifully illustrated. The mark clearly paints the Wingnuts dining experience as casual and fun, and is testament that the company understands the importance of a visual identity in creating an effective impression. 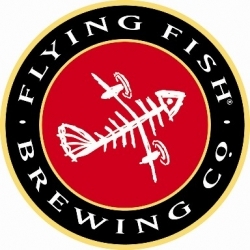 Flying Fish Brewing Company cleverly adds two propellered wings to a fish skeleton to create a quirky visual metaphor representing the small New Jersey based brewery. For a brand with a strong name and significant name recognition, a graphical icon tends weaken the logo by distracting from and competing against it for attention [see Xerox, Wacom]. Oxford University Press plays to its name's strength by emphasizing its scholarly, academic Oxford University association with a customized word mark which fuses some of its letters together to infuse interest, uniqueness and personality to a logo which could easily be boring and disposable.